Another day and another video review to post up onto the Everything Dinosaur blog, this time a video review of the Collecta Deluxe 1:20 scale model of Arsinoitherium. One of the most bizarre-looking mammals that ever existed, if team members at Everything Dinosaur were asked to sum up this huge, plant-eater in one sentence, something like “here was a distant relative of elephants, that looked a bit like a rhinoceros and probably lived a bit like a hippopotamus”, would probably be appropriate. The video runs for seven minutes and in the video we review this model, assign a species name to it and discuss what the fossil record tells us about these ancient creatures that roamed what was to become Egypt around thirty million years ago. We even suggest some uses for those enormous horns that grew out of the skull. 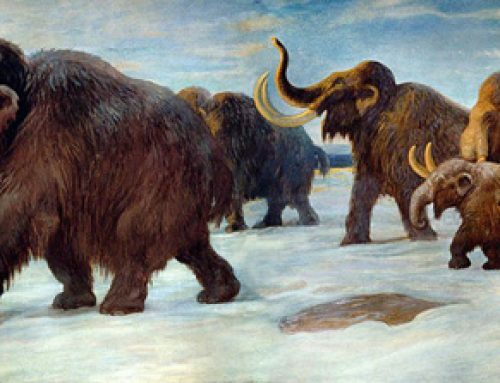 The Arsinoitheres died out during the Mid Oligocene epoch and there is not a single species of animal alive today that is directly descended from this group, which is a shame.